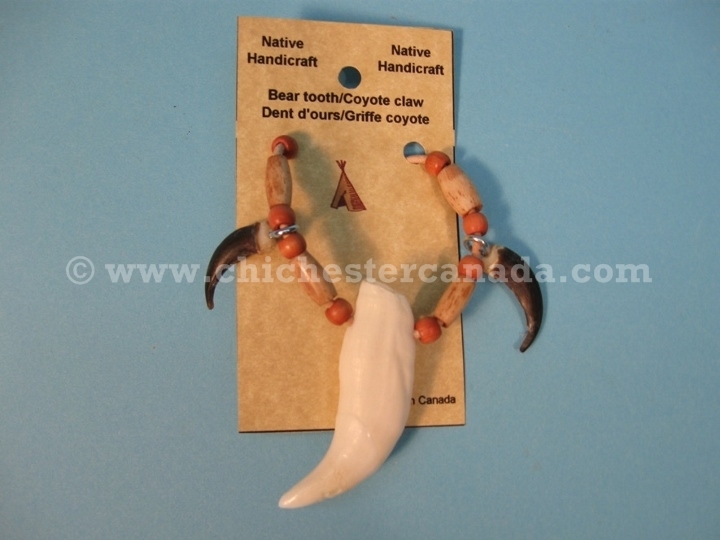 These REAL Black Bear Tooth and Coyote Claw necklaces hang on a 19.25" (49 cm) round natural leather strap with white or stained bone beads, a real black bear tooth and two coyote claws on a silver clasp. The hanging length of the necklace is 11" (28 cm) and each necklace weigh between 15 to 18 grams. 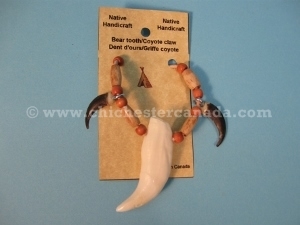 The length of the bear tooth range between 6 to 8 cm long. 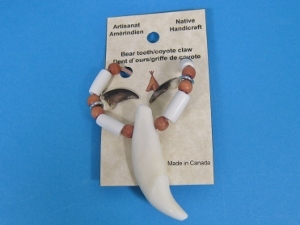 Please let us know if you have a preference of white or stained bone beads when ordering.